Marc A. Strauss,Pyrros Serres Law Firm ,Workers Comp. 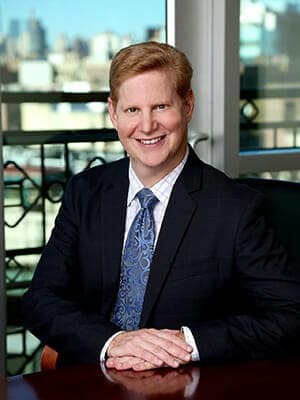 Marc A. Strauss earned his law degree from Boston University School of Law in 1991 and a Bachelor’s degree from the State University of New York at Albany in 1988. Mr. Strauss was admitted to practice law in New York in 1992 and is admitted to the Federal District Court, Southern and Eastern Districts and the United States Court of Appeals, 2nd Circuit. Mr. Strauss has successfully represented clients at administrative hearings and before the Federal District Court and the Second Circuit Court of Appeals. Mr. Strauss has lhas distinguished himself in the area of Social Security Disabiltiy claims and has presented lectures thoughout the tri-state area.